We just finished working with a key law enforcement customer on an application of the microNVR that I have to say is really cool. The microNVR, in case you don't know, is an ultra compact, super power efficient, highly capable Network Video Processing Platform for the edge. This particular customer wanted a turnkey solution that could be used for covert surveillance. The idea is to attach an IP camera to the microNVR, then record and store locally motion events. The microNVR is then connected to the public Internet using either 3G, 4G, DSL or cable modem. The Internet connection allows live viewing as well as review recorded events. It needs to be plug and play simple. So we set up exacqVision, together with a set of remote access tools that allowed the system to be remotely manageable via any web browser or an iPhone. 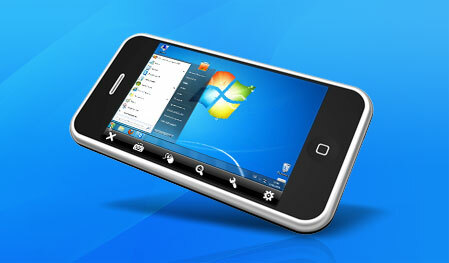 The exacqVision Mobile 2 iPhone app makes viewing live video simple. 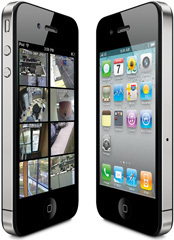 When combined with the remote server management tools that we provide pre-installed on the microNVR, which also have iPhone apps, we delivered a complete, remote surveillance solution. With the new microNVR we enable video to literally be recorded anywhere and then viewed and managed from anywhere. We tested the microNVR with MS Windows and Firefox, OSX and Safari on the Macintosh, and the iPhone with backhaul connections using DSL and 4G LTE using a Samsung "MiFi" device. In the case of DSL, we connected the microNVR via Ethernet. In the case of the MiFi, we connected using 802.11b/g/n. We swapped the links back and fourth to see how fail over worked. Next week we will have our first production batch of systems ready for deployment. Are you ready to cut the wires?